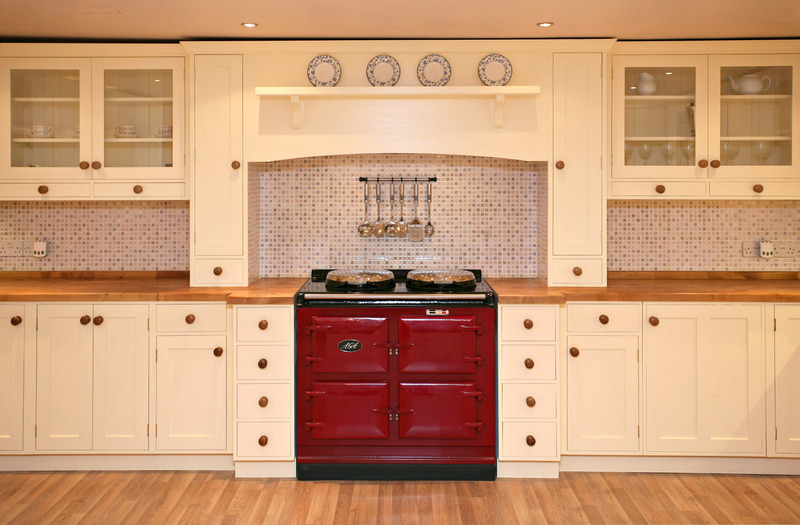 Several years ago Pineland recognised the demand that existed for traditionally jointed solid wood kitchens at sensible prices. 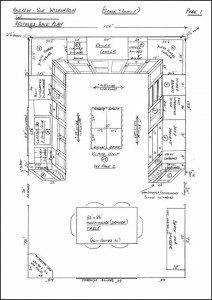 We feel that too many kitchens today look synthetic, or have an odd design to fit in standard size units. All our kitchens are bespoke and built to the exact size and shape to fit the shape of your room perfectly. We supply fully assembled kitchens in modular form which combine to form fully fitted kitchens. Our kitchens are made of solid wood throughout including frames. No plywood or chipboard is used and all joints are mortised or dovetailed. All of our doors are hung within the kitchen cabinets – often known as “in frame”, and our drawers rest on traditional platforms but can be fitted with modern soft closer bearing slides if requested. Where possible cabinets are delivered in clusters/combinations with all the doors hung, drawers fitted, cornice supplied to fit on site. 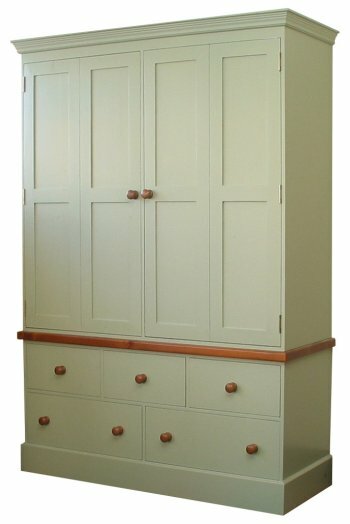 Our kitchens can be delivered in a fine sanded (bare wood) finish ready for you or your decorator to paint or we can supply cabinets fully spray painted inside and out (or painted on the outsides and stained on the insides). Alternatively we can also supply kitchens in various shades of lacquer or wax for a more traditional look. Initially before you become too involved you will want an idea of the cost. 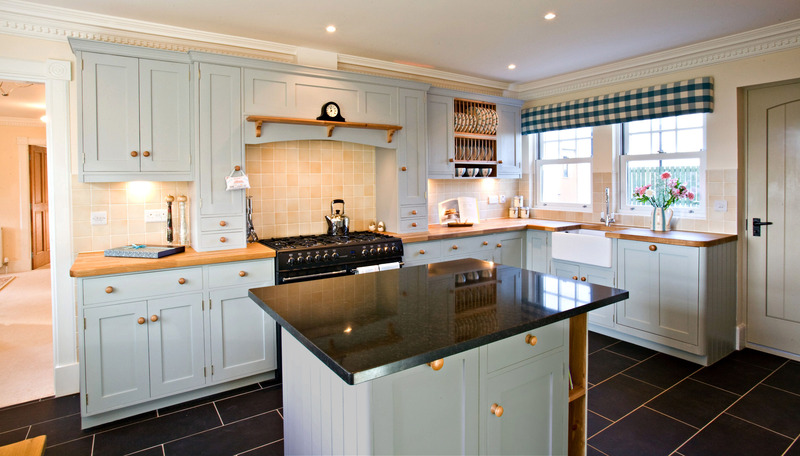 As a rough guide an average Pineland kitchen costs £ 6,000 (delivered incl. VAT). 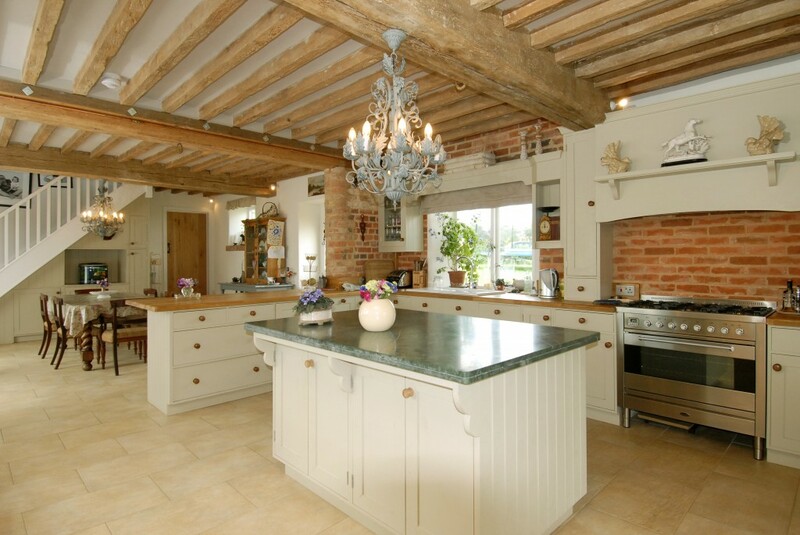 Allow around £ 1,500 for worktops / taps / sink and tiles and this means you can effectively install a solid wood traditional farmhouse kitchen at a cost of £ 7,500 or less. To this should be added the cost of fitting. This is considerably less than normal as units arrive ready to install, so no building / searching for missing parts etc. is involved. Usually if the builder is involved with attendant plumbers / tilers and electricians there is no need for a specialist fitter. 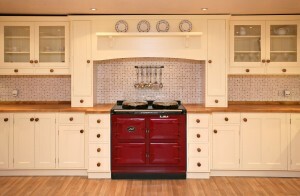 In well over half of the kitchens we supply, customers fit their own kitchens with occasional help from family/friends. Each of our kitchens are designed specifically for you, your personal requirements and the constraints and opportunities given by the shape of the room. Click on the sample plan below for more detail.